You would think a show centering around the adventures of former boxing champ Mike Tyson would have some bite but boy would you be wrong. 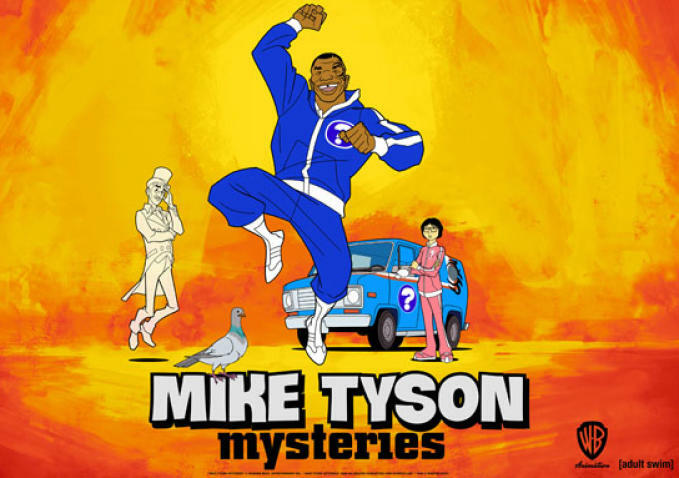 At first look the Cartoon Network’s new Adult Swim series “Mike Tyson Mysteries” looks like the laughs would be flowing since it is a take off of the classic Scooby-Doo… but once the gimmick is introduced and played out in the first 2 minutes it is all downhill from there. Mike’s crime fighting team is made up of a horny, talking pigeon (Norm MacDonald) in place of a lovable dog, an all-knowing ghost (Oscar winner Jim Rash) and Tyson’s adopted daughter who he found at his doorstep one rainy night. The team is sent off on adventures by messages received from Tyson’s pigeons, a nod to the real life Tyson’s love of the feathery flock since childhood. If this week’s pilot was a clue as to what to expect the rest of the season, the show’s 15 minute run time is going to feel never ending.